Question: What do Alexis Korner, John Mayalls Bluesbreakers, Eric Clapton, Stevie Winwood, Spencer Davies, Jack Bruce, Rod Stewart, Ginger Baker, The Artwoods, Muddy Waters, Savoy Brown, Otis Spann, Johnny 'Guitar' Watson, Larry Williams, Graham Bond, Ten Years After, Stan Webb, Peter Green's Fleetwood Mac, Champion Jack Dupree, Christine McVie, Mick Taylor, Eddie Boyd, Dr.Feelgood, Freddie King, Climax Blues Band, Roger Chapman, Cleo Laine, Jimmy Witherspoon, Level 42, Roachford, Sherman Robertson, The Hoax, Oli Brown, Keith Richards, Ron Wood and Bo Diddley all have in common? 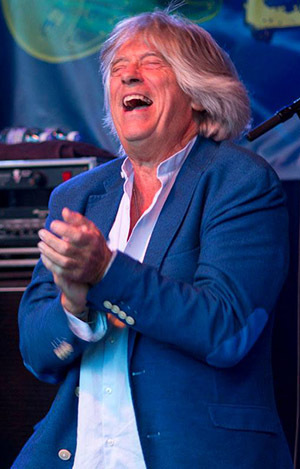 Mike Vernon is probably best known as the founder of Britain's #1 blues record label, Blue Horizon. During the four year period that Blue Horizon was distributed by CBS and Polydor, the label issued around 60 singles and more than 100 albums - most of them featuring blues artists. Although Mike Vernon is primarily associated with the blues, he also produced significant acts outside of that field during those early years - David Bowie; Dutch rock band Focus and a five-piece soul group from California, Bloodstone. His first single production for Bloodstone - 'Natural High' - hit the #1 spot on the US charts earning the Producer a Gold record. But there were other such Awards already on the wall - Fleetwood Mac's 'Albatross' and a number from his work with Focus. In future decades, whilst continuing his crusade to record blues acts Mike Vernon worked with Level 42 and, in so doing, collected two further Silver discs. He also produced Andrew Roachford's debut album - another Gold platter. Mike worked both as a Producer and Engineer throughout the 1980s and early 1990s with some further significant successes - especially in Europe. Albums by Spanish bands Danza Invisible and Los Secretos saw major chart success as did a Renaud Hansen release in France. During the late 1990s Mike Vernon launched three new blues orientated labels - Indigo, Code Blue and Blueside. With Code Blue he produced Sherman Robertson, Jay Owens, Eric Bibb, John Primer and Bo Diddley (his album was nominated for a Grammy) whilst Eugene Bridges and Angela Brown were to appear on Blueside. In 2000 Mike retired and moved to Spain. But in 2010 Mike Vernon came out of retirement to produce both Dani Wilde and Oli Brown for Ruf Records and a 'live' set with Louisiana legend, Lazy Lester. His most recent projects have seen him orking on a debut CD with an exciting new Spanish band from Sevilla - Q & The Moonstones as well as producing chart topping Laurence Jones and Sari Schorr & The Engine Room CDs. 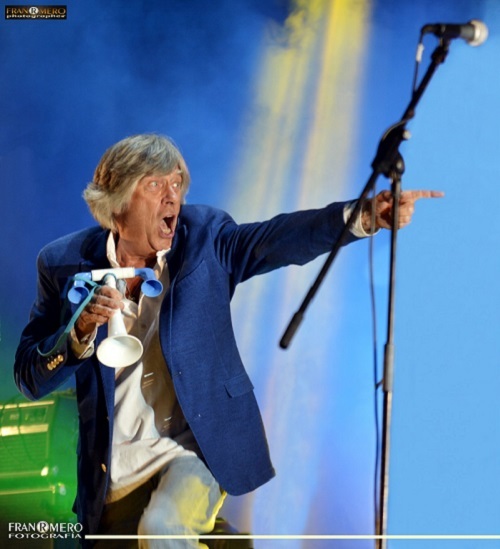 Mike Vernon has handpicked the musicians he will be working with - The Mighty Combo - featuring: Kid Carlos (guitar); Paul Tasker (Saxophone); Matt Little (keyboards); Ian Jennings (upright bass); Mike Hellier (drums). ..."In fact it's a sensational band actually!" Paul Jones - BBC Radio 2. "A joy from start to finish as the legendary Mike Vernon lets his hair down in the company of five sensational musicians. There's so much fire in Mike Vernon's belly this show should come with a fire hazard warning. The audience was jumping for joy as a British blues legend let the good times roll with his all mighty combo." Stephen Foster, New Wolsey Theatre gig 24/02/2017. Quote: "it's got to be said - this was probably one of the best nights of music I have ever been at!" Suzanne at Felixstowe Spy, New Wolsey Theatre 24/02/2017. Movinmusic in association with Manhaton Records is taking bookings for Mike Vernon & The Mighty Combo for 2019. Interested festivals, venues and promoters can contact us about their availability via e-mail or 0044 (0)1209 860067. 1996 - 2017 Movinmusic - Contact: mike@movinmusic.co.uk 0044 (0)1209860067 PO Box 38, Penryn, Cornwall, UK, TR11 9YD Skype "Movinmusic"